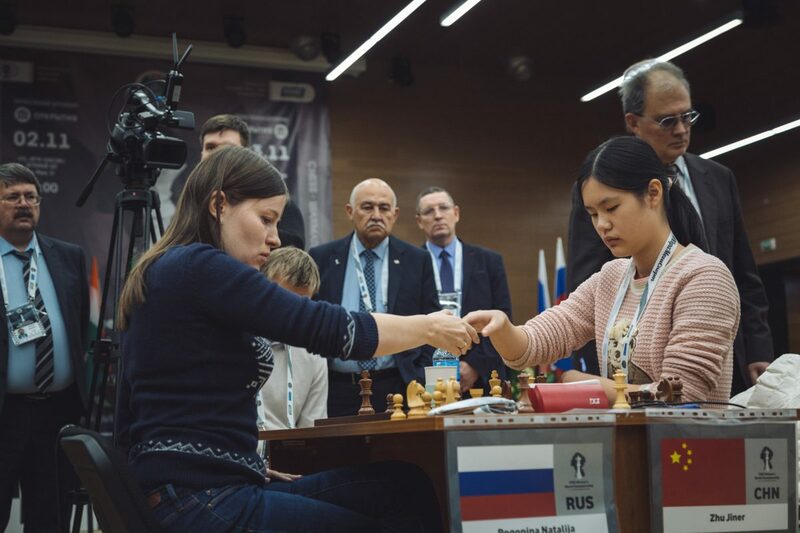 The tie-breaks of the second round of the World Women’s Championship in Khanty-Mansiysk were played on November 8. 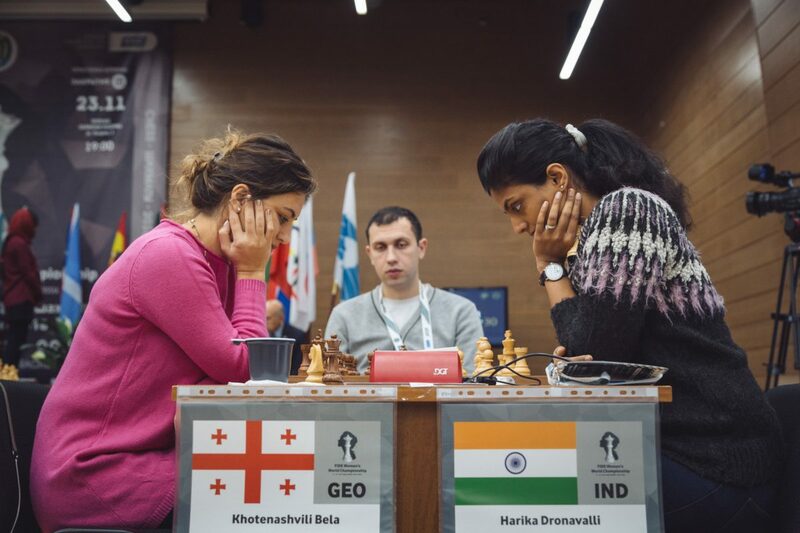 Once again all matches except one were decided in rapid chess. 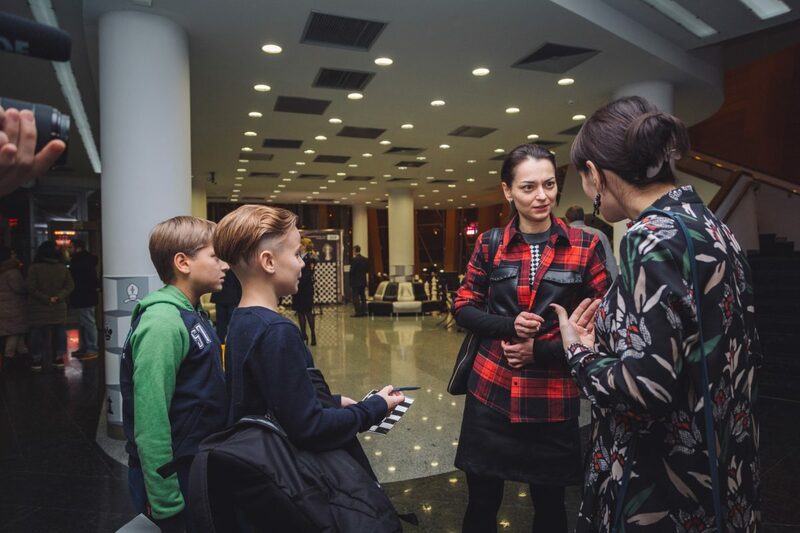 Natalija Pogonina successfully defended two difficult positions against Zhu Jiner in rapid chess, and then crushed the opponent in the first 10-minute game. In the second game the Chinese fought desperately, but was unable to get realistic winning chances, and eventually lost.